When it comes to emergency roof repair, Lake Oswego citizens need immediate access to a reliable and capable company. At Pioneer Roofers we’re experienced in providing emergency roofing services no matter what your problem is. That’s because we provide immediate and efficient assessment and repair. Don’t put emergency roof repair off a minute longer! 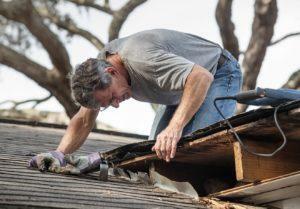 In the event of an emergency roof repair, Lake Oswego property owners shouldn’t put it off. We have emergency hours and can be there quickly. With 20 years of experience providing Lake Oswego with emergency roof repair, we’ve become trusted local repair providers. That’s because the most common damage type we encounter is water damage from leaks and windstorms. Many damage types like water can be progressive. That means that every hour you leave it the damage multiplies. The damage at hour 3 may be 8 times as bad as hour 1. Water can ruin interior structures, lead to mold and mildew, and require extensive restoration unless it is dealt with quickly. Our emergency roof services are available day and night. No matter when you’re facing a roofing emergency we’ll be there quickly. Our repair vans are always ready to go. We always have the necessary tools to perform fast emergency repairs that stop damage in its tracks. Our emergency roof repair technicians can repair any roofing style, no matter the roof type or construction materials used. Attic and Ceiling Damage – For emergency roof repair, Lake Oswego relies on us to protect their property in the event of a disaster. This damage type can leave an entry point for water that ruins paint and plaster. Electrical devices like fans and fire may short and cause a fire hazard. Fire Damage – Many homeowners don’t realize it, but water leads to fire damage. Electrical sparks from shorting outlets, lights, and other sources can quickly cause a building to go up in flames. Emergency roof repair mitigates this risk. Mold and Mildew – Mildew and mold may begin to grow in as little as 72 hours. Once it starts it can be difficult to stop, especially when it gets into walls and ceilings. Mold can cause a number of health related issues and require expensive restoration. 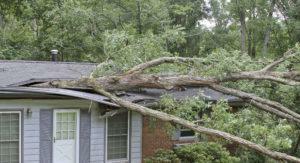 Emergency roof repair can spare you from this damage and expense. Insulation Damage – If you’ve got a leaky roof, it can destroy fiberglass and cellulose installation. This can negatively impact your homes ability to insulate during cooler weather and retain cold air during warmer weather. Structural Damage – Structural damage is the most severe. Water damage that goes untreated may cause woot rot, warping, and other damage to framing, trim, rafters, ceiling joists, floors, and more. The time for emergency roof repair is now! Don’t wait another second to call our standard line (503) 281-0305, emergency line (503) 969-7354 or Contact Us for emergency roof repair in Lake Oswego.